Since the weather’s changed for the better, I couldn’t put off resuming work on the shed. 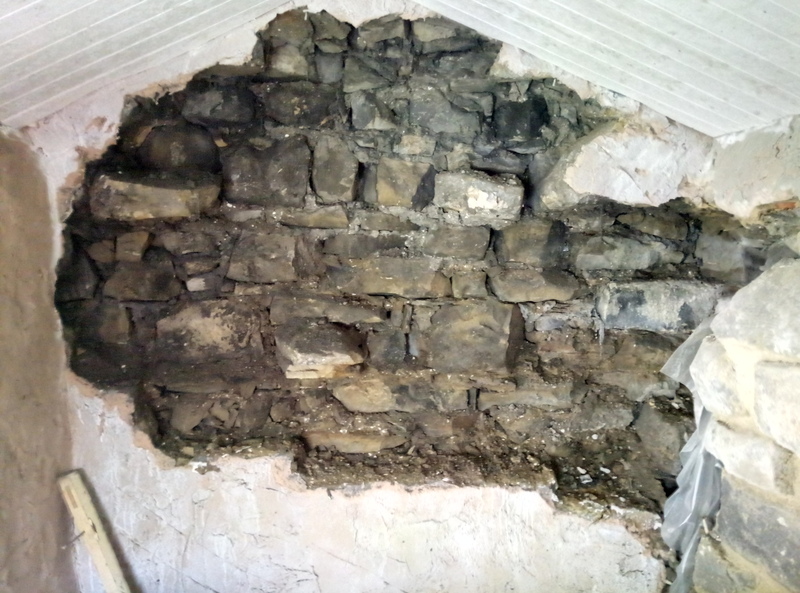 This wall is a lot more solid than the first one I tackled, so it wasn’t so easy to remove the inside layer of stone. Doing a spot of gardening now. 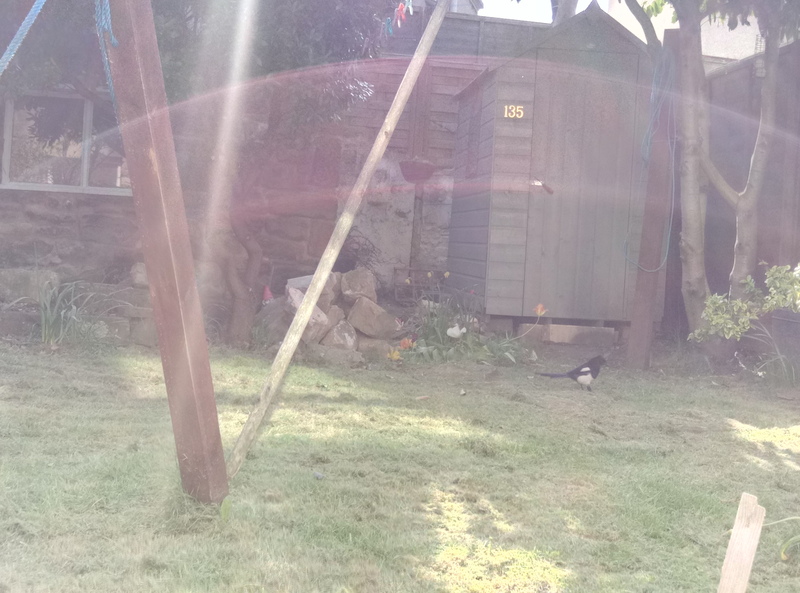 While sitting here, a magpie arrived. My second encounter with such a creature today. The first was this morning, when, on arriving at the tip, we saw a magpie attacking a young parrot. An old lady and I scared off the magpie, but the parrot was unaccessible, behind a high fence. Also in the queue was a parrot breeder (there had to be), who said he’d drive back around to capture the bird. So, the old lady and I stood guard until he returned. Unfortunately, a girl with a stick arrived before he did. I’d acquired a towel from one of the site workers, but hadn’t used it because I didn’t want to harm the bird. The girl, however, pointed the stick in the parrot’s direction. Apparently, the bird was supposed to walk onto the stick. It flew off. Just before the parrot professional arrived. 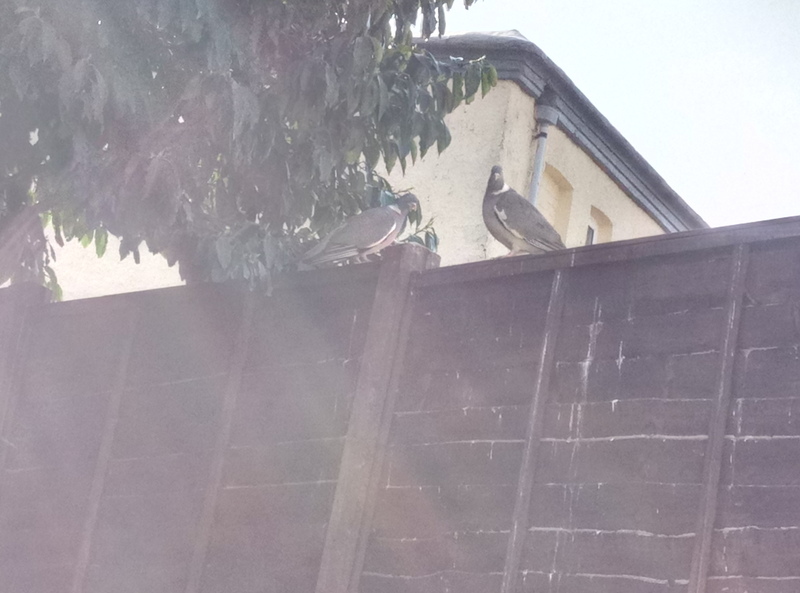 As I was writing this, a pair of pigeons landed on the fence. This will be their second year of nesting in our tree. 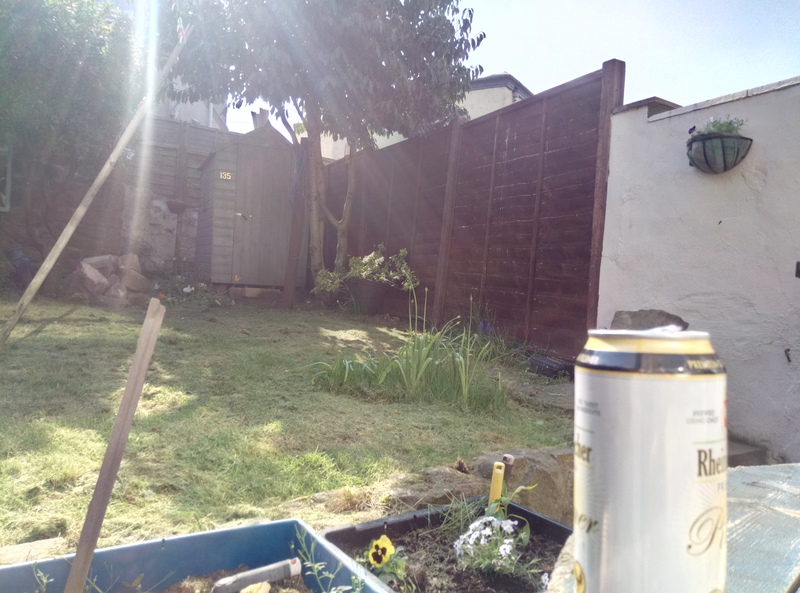 This entry was posted in Garden, Nature, People, Sodhouse Bank, Wildlife on 06/05/2018 by garymoore.